DriveSavers BlogHome » Drivesavers Blog » DriveSavers Blog » Android and iPhone Data Recovery: What’s Happening to 23% of Smartphones? Nearly a quarter of the smartphones we receive at DriveSavers for Android and iPhone data recovery have been opened before they were sent to us. And this number is growing. A minor repair like a screen or battery replacement is unlikely to impact our ability to recover the data. However, removing internal parts, working on the boards or introducing heat can dramatically reduce our chance for a successful outcome. Keep reading for a look inside previously-opened iPhones and Androids to understand exactly why many cannot have their data retrieved. First, we’ll look at other common data loss scenarios. Here are some common types of iPhone and Android phone damage that could lead to data loss. Liquid Damage (potentially recoverable): Liquids and moisture can cause corrosion and other damage to the internal components of your iPhone or Android. Rising temperatures while in operation (potentially recoverable): Overheating is a very serious problem that could lead to extensive damage when not looked into. Overheating can cause the solder joints to melt and cause loss of circuit connectivity or shorts at the solder joints. Accidental Restore (unrecoverable): Accidentally or intentionally hitting the reset factory settings option can happen, which will lead to total data loss on your iPhone. iOS issues (potentially recoverable): Software corruption could cause apps to continuously shut down while in use. Having no backups could lead to data loss. Physical Damage (potentially recoverable): Human error is a major cause of damaged iPhones and Android smartphones. Dropping it, running over it with a car or other crushing scenarios could cause damage to both the exterior and interior of the phone, leaving you unable to access your iPhone or Android’s data. Issues powering up: If your iPhone or Android is constantly restarting, this is a sign of damage. You may also come across the “white screen of death” which is a white screen that pops up when your iPhone is restarting. Hardware Failure: Are you having trouble charging your iPhone? Has the auxiliary port on your Android stopped working? Failure for certain components to work is a clear indicator of damage. Constant Error Messages: Error messages occur when there are…well…errors. It’s important to take note of these messages and contact a professional who knows what they mean. App Issues: Apps that constantly restart or freeze may be an indicator of either logical or physical damage. Check Indicators: iPhones and Androids both have liquid indicators which will reveal if your smartphone has water damage. You will need a flashlight for this. Shine a light into your smartphone’s headphone jack and your charging jack. If there is a red dot present on the inside of both of these areas, your iPhone has been exposed to moisture. If you have not been trained to perform Android or iPhone repair, absolutely do not try any DIY methods or otherwise attempt to correct the problem yourself. Unless you are Apple Certified, opening up your iPhone renders any warranties you may have null and void. Opening up a smartphone can also damage screens, protective seals and internal parts. Manipulating internal components without the proper training and tools could cause more damage and render the smartphone unrepairable. Worse, you could cause enough damage that Android or iPhone data recovery is no longer possible. As a result, photos, videos, contacts and other irreplaceable data could be lost forever. Here are some of the more common issues our Android and iPhone data recovery engineers see that were caused by attempted repair work. Applying too much heat, applying heat incorrectly, or applying heat too many times to an iPhone or Android smartphone can cause all types of damage that will render it unrecoverable. While it doesn’t make every situation unrecoverable, excessive heat causes increased difficulty in data recovery. Learn more about heat damage in the video below. 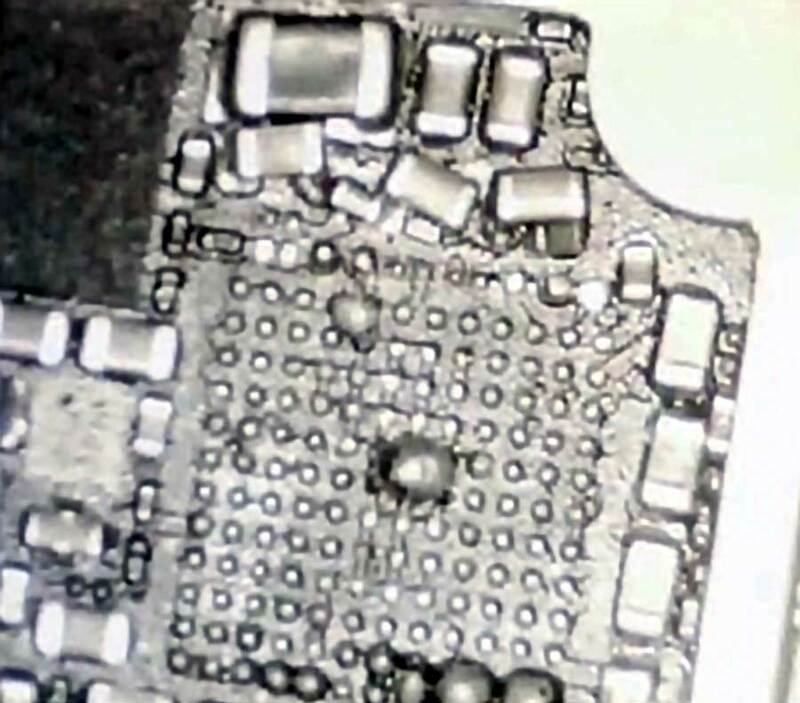 See all the little balls of solder in Image 1 below? These should not be there. This is an example of a smartphone that had too much generalized heat applied. 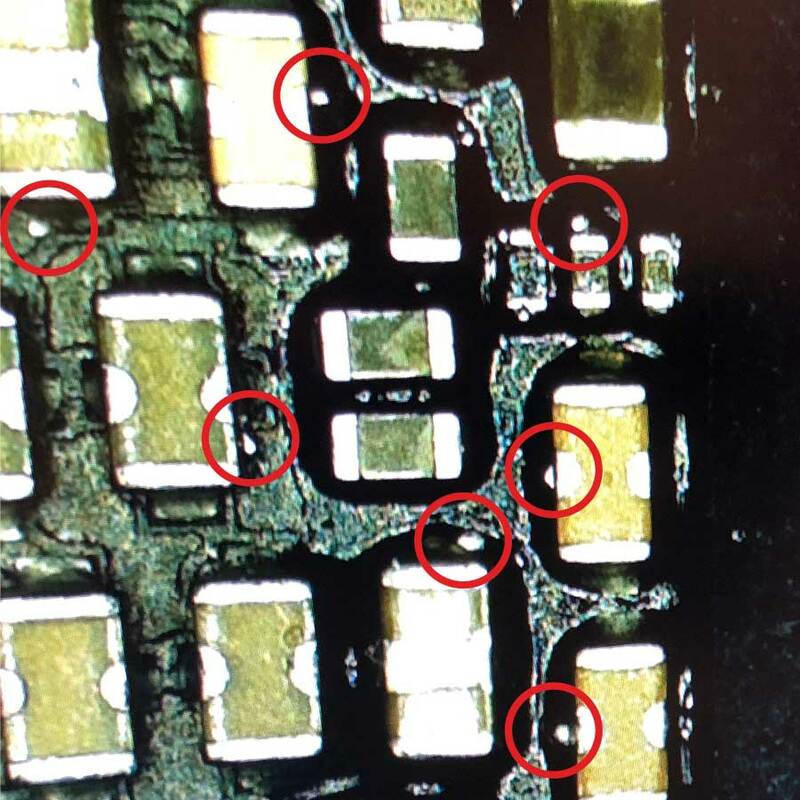 Image 1: The extra solder balls found inside this iPhone indicate that too much heat was used during an attempted repair. Tremendous damage can be done to an iPhone or Android smartphone when using incorrect screws or replacing the screws in the wrong locations. Placing the wrong screws can cause irreversible damage to the PCB. A screw that is the wrong size or length can cut through the PCB and damage the conductor runs beneath it. This may happen when replacing display cables or performing screen repair. This can also happen when a wet smartphone is opened to dry it out and then put back together with the screws replaced incorrectly. If you need Android or iPhone data recovery due to water damage, we recommend that you do not take it apart before sending it to us—just send it to us ASAP. If someone has already opened the smartphone to dry it, don’t attempt to put it back together as screw damage may occur. It’s better to send the phone in pieces than risk further damage in the assembly. Images 2–5 below show the effects of using the wrong screws when putting an iPhone back together after repair. Image 2 below shows a standoff through which the wrong length screw was inserted. 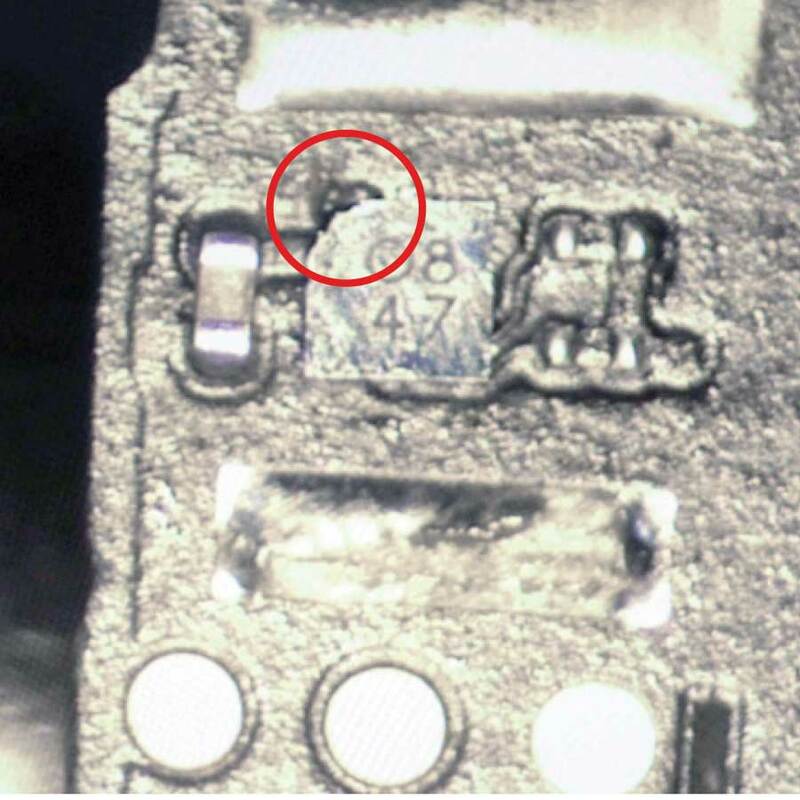 Image 3 shows the same iPhone with the standoff removed and the damage that was done to it by the screw that was used. This is known as long-screw damage. Image 4 shows what this area of the iPhone should look like when the standoff is removed. Image 2: Somebody attempted to repair this smartphone using the wrong length screw. How do we know? We shouldn’t be able to see the copper ring that is visible in the center of this standoff. Image 3 below shows what the iPhone from Image 2 looks like with the standoff removed. Notice the difference from Image 4, which is how the iPhone is supposed to look. The iPhone shown in Images 2 and 3 has experienced a lot of damage that was caused by someone who may not have been properly trained in iPhone repair. As a result, this person replaced the wrong screw in the wrong place and caused further damage instead of fixing the iPhone. Image 3: With the standoff removed, we begin to see the damage that was caused to this iPhone when the wrong length screw was used in repair. Image 4 below shows what the iPhone should look like underneath the standoff. This is an image of an iPhone that has not experienced long-screw damage. Image 4: This is what an undamaged iPhone should look like underneath the standoff. 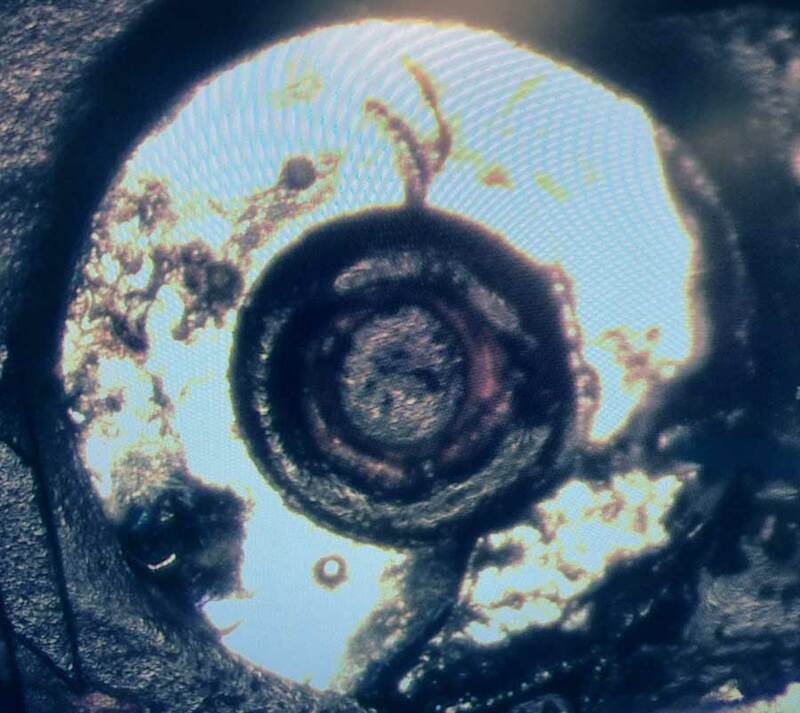 Image 5 below shows how deep this long-screw damage goes. Because the screw that was used was too long, it tore conductor runs, which are necessary not only for a working phone but also for successful data recovery. Image 5: The conductor runs circled above should be connected but have been torn by a screw that was too long. Conductor runs are a signal path between components. This type of damage can be likened to traveling in a car along a road and finding that a bridge is out. Without the bridge, you can’t complete your journey. If the conductor runs are torn, then the path is broken and the signals can’t complete their journey. If a screw is even a millimeter too long, this type of damage can occur. 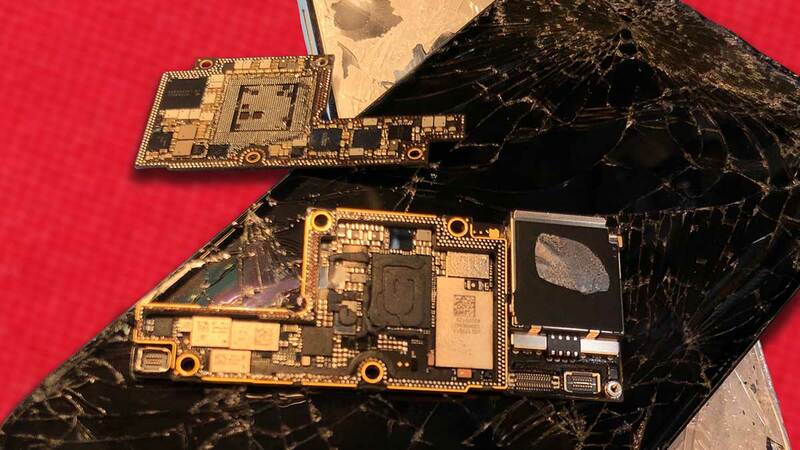 Even though DriveSavers iPhone data recovery engineers can repair this damage, it takes skillful microsoldering, during which heat must be applied. Applying heat to the board is always risky as iPhone and Android components that are necessary in data recovery are very temperature-sensitive. 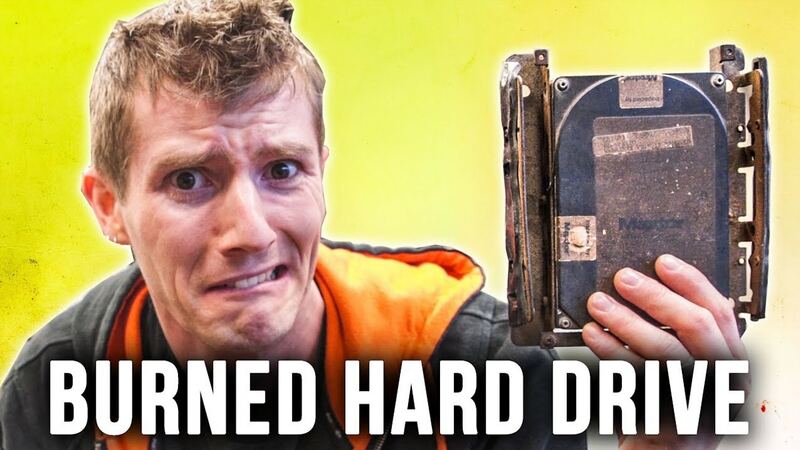 The more heat that is added, the less chance there is of a successful data recovery. Learn more about long-screw damage in the video below. Attempting Android or iPhone repair using software when there is physical damage can cause the memory to become corrupted. Before using software solutions, any physical damage must first be repaired. A corrupt iPhone NAND can potentially be repaired by a factory restore via iTunes. However, a factory restore deletes all the content and settings, making data recovery no longer possible. Only restore a phone once the data has been backed up and verified. 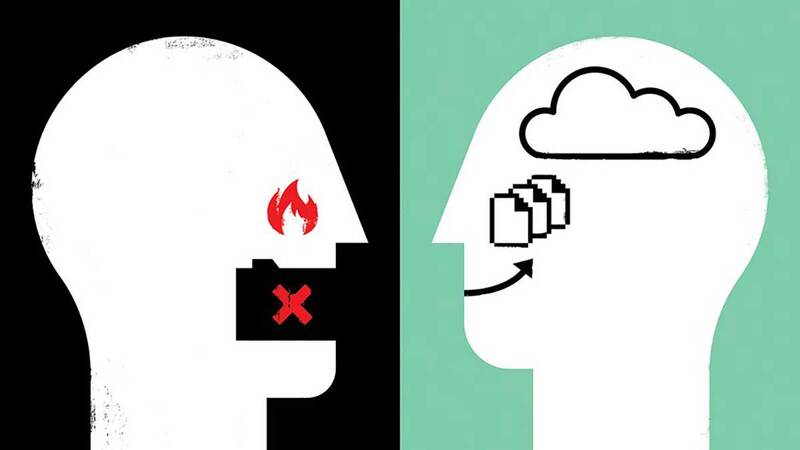 What if the corruption prevents a backup? Before performing this type of repair, it’s essential to first find out if the data on the phone is important to the user. If it is, do not engage a factory restore. Instead, send the iPhone to an Apple-approved data recovery company such as DriveSavers. A very small slip when components and solder are heated can cause tiny components to move in drastic ways. This is what happened in Image 6 below when someone removed the audio codec. This procedure requires tiny movements. A small mistake can lead to a bigger problem. On an iPhone, many of these components affect data recovery and must be put back in their correct placement for a successful outcome. This requires adding heat in order to move the components. Adding heat always reduces the chance for successful data recovery. Also, attempting to remove the IC (Integrated Circuit) could lead to damage to the IC itself, or to the PCB. The IC houses minute circuitry that are too small to solder, and these delicate components can easily get damaged during repairs or data recovery attempts by someone without the proper tools or skill. Image 6: These tiny components were moved and jumbled when a tool slipped during iPhone repair. The data on this iPhone is recoverable; however, it will take a lot of work. It will also require added heat, which is dangerous to data recovery. Learn more about shifted components and see how tiny they are in the video below. An electrically erasable programmable ROM (EEPROM) is a pre-programmed read-only memory chip. It is extremely easy to damage an EEPROM during iPhone repair because it is such a fragile component. 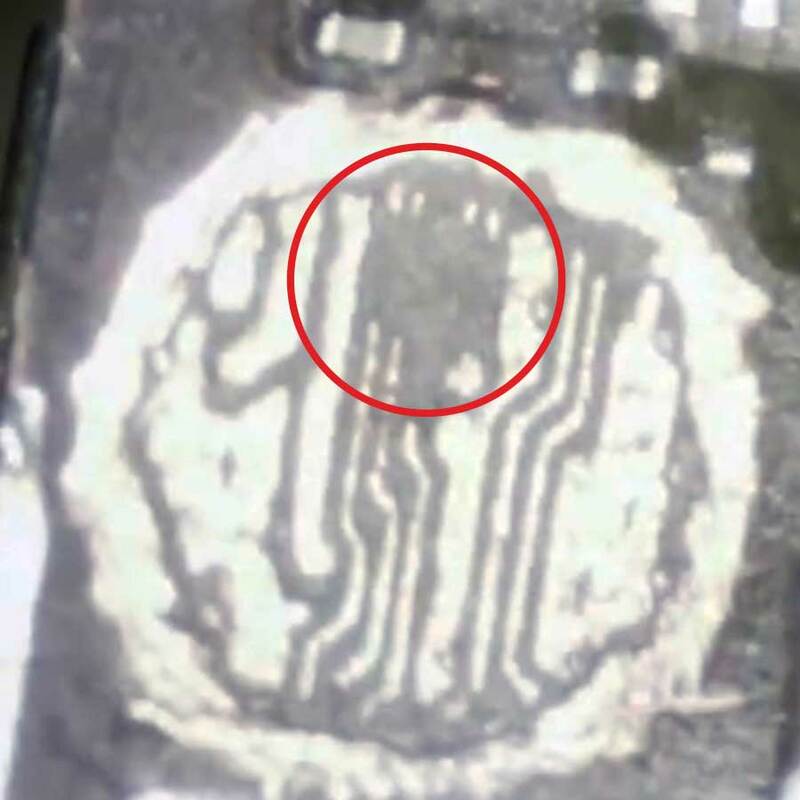 Image 7: This EEPROM was damaged during iPhone repair. The data on this iPhone is not recoverable. Replacing an EEPROM with an aftermarket chip will not restore functionality. No replacement EEPROM can be used if it is damaged. Only the original part can be used. 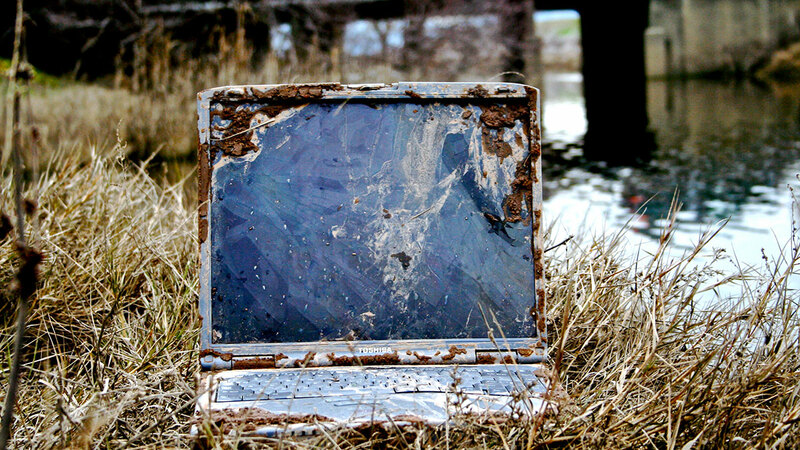 Once damaged, data recovery is impossible. The iPhone X is a jump in the evolution of iPhone technology. This generation of iPhone, and newer, now contain two separate PCBs that are soldered together. This takes up less space inside the phone than the previous design. 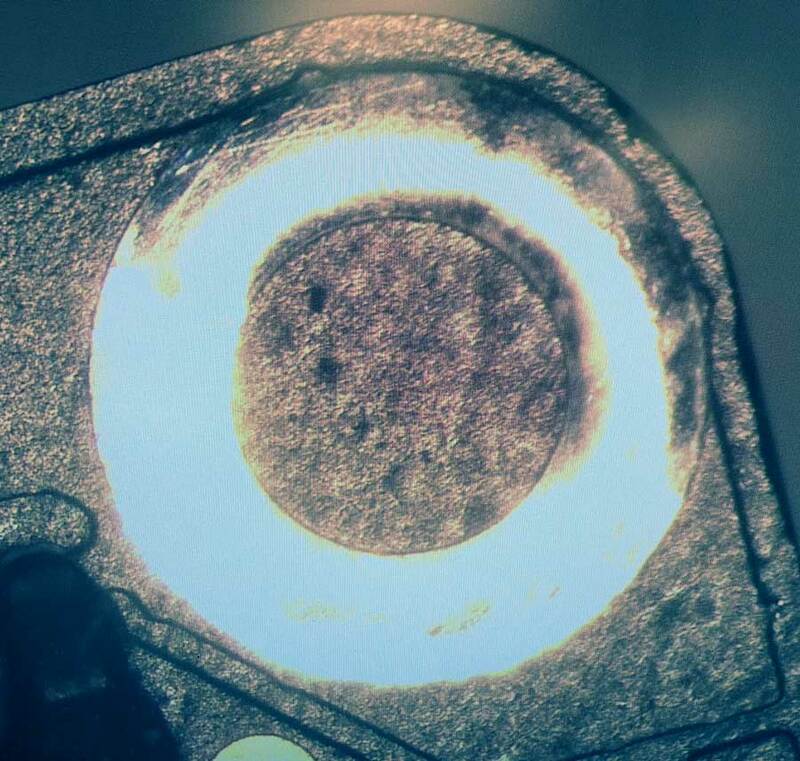 There are solder balls holding the two layers together, sometimes three rows deep. Each row of solder must perfectly match in size and placement of the connections on the PCB. Attempting repair or data recovery that involves taking apart the PCB in an iPhone X or newer requires very specific tools and skills. If the PCB is soldered back together without being perfectly exact, it will not work. This is a situation where we are able to recover the data. However, it is highly skilled, time consuming and difficult work. Image 8: The iPhone X PCB on the top is soldered well. The one on the bottom is not. The iPhone X on the bottom will not work. On any type of iPhone or Android phone, solder joints provide the contact between the various elements within the circuit board, as well as being used in multichip modules. Bad solder joints lead to loss of functionality. This means that the component will not work well, if at all. Each connection allows the board to communicate with itself. 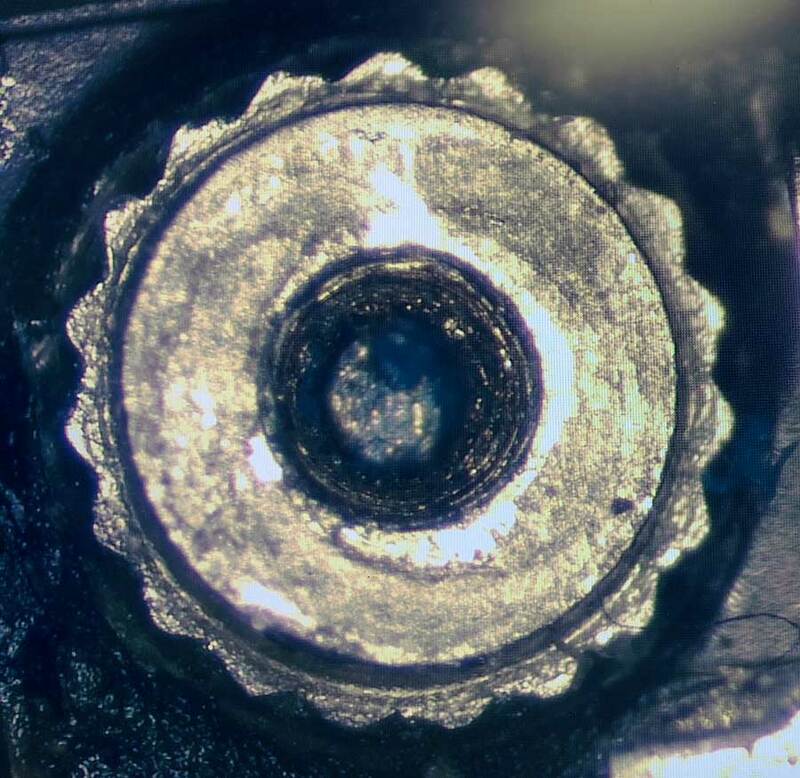 Gaps between solder joints break the little connections that make an iPhone or Android work. Extra solder leaves a messy circuit board and could cause a short. When you are dealing with minute circuitry, you cannot afford to leave behind a mess on the board. Our smartphones hold more than just games; they are storage for memories we make every day. Photos and videos from once-in-a-lifetime events, important documents, messages from loved ones that you want to keep for a long time… Think about what data is on your phone. Is it replaceable? The chances of success in Android or iPhone data recovery is always better on the first try. 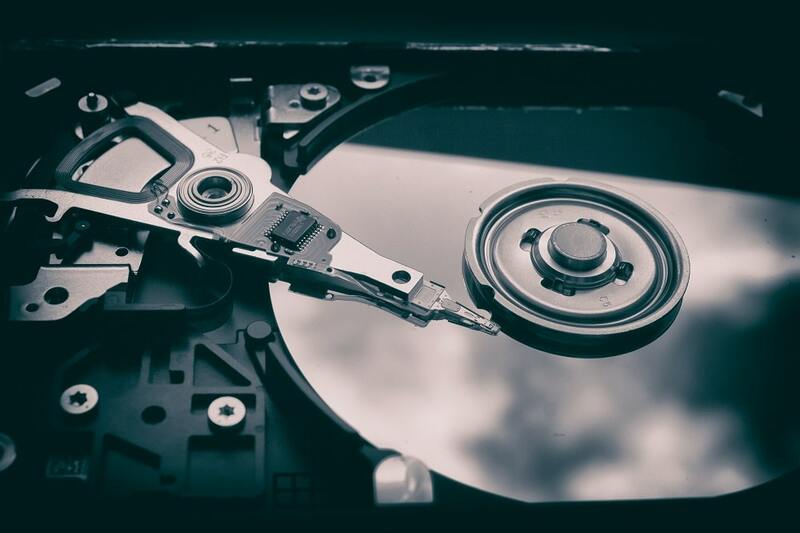 Additional attempts may cause further damage to the already existing issues and may exacerbate the problem, rendering data recovery impossible. Sending your phone to the wrong place can cause you to lose your data for good. Before sending your iPhone or Android for repair or data recovery, be sure you fully vet the company you’ve chosen. You should even vet DriveSavers! Look at reviews, experience, Better Business Bureau standing and other factors. The absolute best thing you can do is ask the manufacturer of your smartphone who they recommend.